Our lives bring us to many places, some we can call home, others we simply cannot. But, ultimately, on some level, we choose to stay, to live in a place, for whatever reason. Most often, the choosing feels like it is has been done for us. The reasons are as varied as our lives. 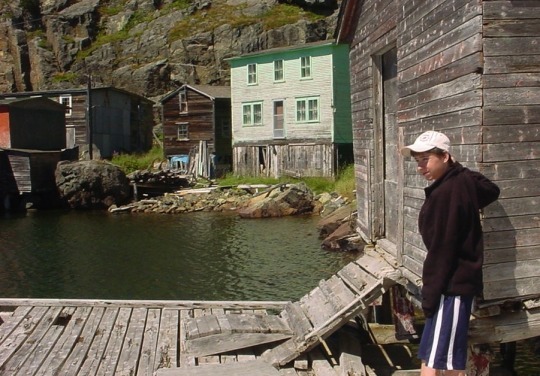 Early in my teaching career, much to the surprise of friends and some family, I chose to take a position in a small coastal community in north east Newfoundland. I remember having to justify that decision to raised eyebrows and skeptical, incredulous stares. And yet the choice, the decision, did not seem a conscious, planned or deliberate one. I felt comfortable. The place in which my wife and I were going to raise a family was a good fit. I bought a home overlooking the ocean. My backyard led into endless stands of spruce and fir forest. The teaching staff was close knit; the students warm and friendly. The years spent there have not been without their challenges. Coming from homes without a tradition of the literacy and skills valued by mainstream economy and culture, many children had special needs and required consistent, thoughtful care and attention. 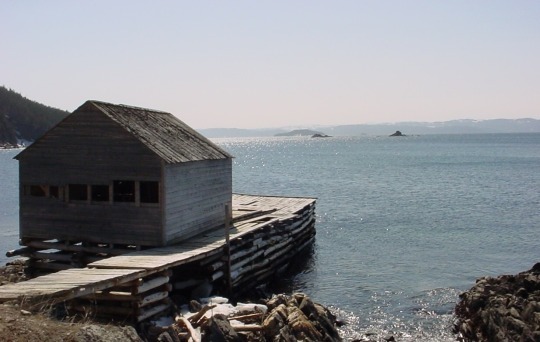 The collapse of the cod fishery in the early nineties had a profound effect on families and children dispersing them throughout Canada, undermining self-reliant communities with strong traditions of valuing intergenerational knowledge and systems of mutual support. As a teacher, I lived with children in a region once home to the greatest biomass on the planet. The incredible diversity and numbers of fish species that swam the plankton-rich waters of the North Atlantic stood not only as testament to the miracle of the life generating power of the Earth, but also to the unknowable depths of human greed and the capacity to destroy and lay waste to that same miraculous fecundity. 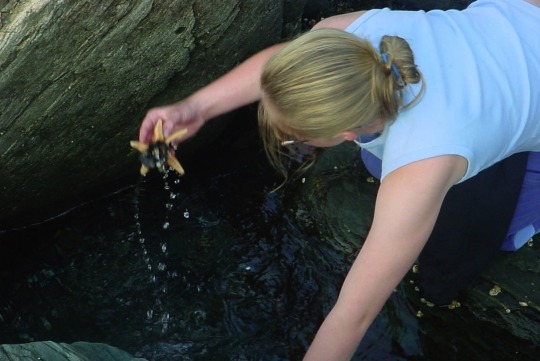 Working through the lens of critical pedagogy I attempted to address my concerns by devoting several weeks of my language arts program to exploring the social, political and environmental constructs responsible for the collapse of the ocean ecosystem. The exploration was primarily expository; letter writing, debates and research essays. But for the most part, this approach missed the mark. I never felt as if I was truly allowing the kids to connect with what was truly happening in their lives and communities. The same was true in other school subjects. Really, what was happening in their lives and in their homes rarely influenced what was happening in the classroom and perhaps more sadly, vice versa. As the ocean was plundered and decimated, the children dutifully categorized the “natural resources” and diagrammed the food cycle. Meanwhile, their communities died a slow, inexorable death. A way of life that had sustained these communities for almost two centuries was no longer available to its children. Hope and promise were on the wane. Many children grappled with the prospect of leaving a place that was their home. I wanted to know more about how to do this. So I left and pursued doctoral studies. I returned to the small coastal community having been away for two years. It was August and I was about to start my “research project” in September, to work with the children of coastal Newfoundland to better understand the intersection between language, literature and ecological literacy. In the waning weeks of that summer, as I prepared to return to the classroom and to the lives of the children, I was reminded of the immediacy and rawness of life here. Tragic events in August set the tone for my return and determined how it was to unfold during that fast approaching autumn. News swept through the villages on a fine mid August afternoon of a drowning. A boy I had taught just prior to my departure for doctoral studies had been swimming in a small pond with his brother and cousin just a short walk from their community. 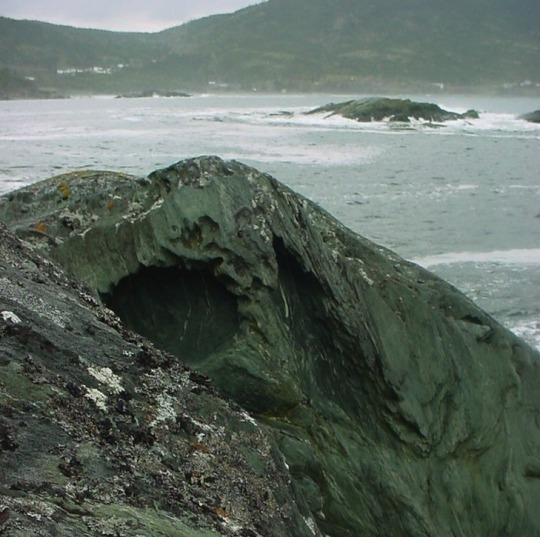 Men from the village using a small boat retrieved his body; gingerly snagging his bathing suit with hand lines, they brought him to the surface - an all too familiar image in the human history of coastal Newfoundland. The boy would have been in my classroom in a few short weeks. Now I was attending his funeral. I remembered him as a quiet, sensitive boy who enjoyed reading and drawing, filling his writing portfolio with wonderful stories, poems and sketches. He was communally remembered for these qualities on that sad day. I sat with an overflow crowd in the tiny parish hall to watch and listen to the funeral on television, as the church next door was full. Outside, the branches of small aspen brushed the window; a blue sky and freshening breeze brought little relief to those inside fanning themselves with thin Mass booklets. As I waited for the many mourners to be seated, I turned the booklet in my hands. 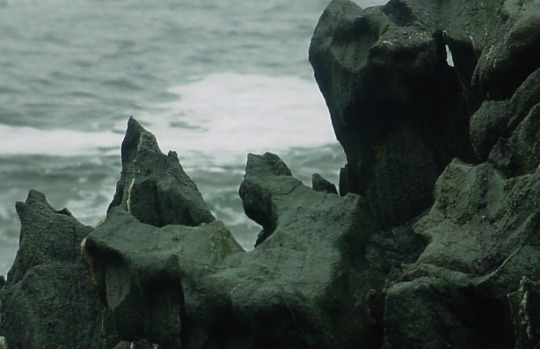 On the last page was a photograph of the boy’s smiling face; the picture had been cropped out of a larger shot - on a beach, perhaps, for grey cliff was visible in the background. It was written below, in a wistfully short paragraph, that he loved writing, poetry, and life in his small community. The winter woods, the ponds, the beaches, and the coves intersected with all aspects of his young life, of who he was. Yet, it was particularly poignant and painful to think that this relationship somehow figured in his death. In the intervening days between his death and funeral I listened for the words of anger, of resolve to never allow children to swim at that pond, to fence off the area, that it was unsupervised and dangerous (thoughts that flooded my mind during those days), but I didn’t hear them. Children had always swum there, just as they played on the wharves and rowed their punts around the coves. There was no anger. But I was shaken. In a matter of days I would be asking these same young people I saw sitting around me in that little church hall to share with me through reading, writing and reflection their relationship with their larger living landscapes, to activate and nurture an attunement for the natural places they live. I was troubled; my return to the classroom was to be filled with a newfound pedagogy of connecting children to literature meant to affirm life, and here I was facing, what I perceived to be, a cruel and meaningless death. As I looked into their deeply saddened faces I realized the arrogance of thinking of the children’s lives as my ‘project.’ I was humbled and the false assurance of a seeker of knowledge, a research grant holder became an emptiness, an openness, and in a sense, a kind of poverty. The word poverty comes to me through its original meaning from the Latin paucaus – little or few, and parare – to prepare. This emptiness, or poverty, I felt was a kind of preparation- not of a scholarly variety - but a making ready for something, a leading up to, a yielding. Also inherent in the word poverty is the sense of the service provided by the one who prepares, the tending in making ready. I knew that whatever else might be achieved with these children it must be imbued with the the sensitive and the thoughtful. The most I could hope for was to the create and tend a clearing across which the world may approach. Sitting there in the tiny parish hall perched on the rocks, it was my hope that my research project would provide a space, a clearing for the words/voices of children. Their memories, stories, poems, life experiences and spoken words gleaned from the buffeting swirl of life inside and outside classroom walls would find their place here. Finger sculpted words rendered in the twirl of yellow pencils, deposited here in the furrowed wrack lines by the push of the wind. Words gathered in the roaming over the landwash, living in the eco-tone, on the margin, the border, the boundary – gathered like fragile limpet shells and polished glass.